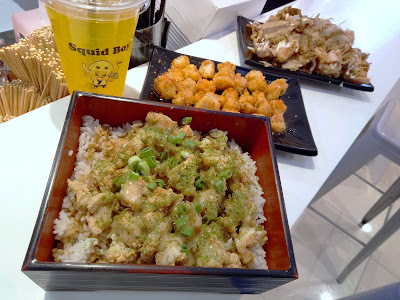 Special thanks to Squid Boy for extending this food review invitation. The basement level of Gurney Plaza has one of the highest concentrations of food outlets in Penang. Squid Boy is one of the numerous kiosks here. Opened late last year, this snacks joint is adjacent to Tori Tori. As the name implies, Squid Boy sells squid-related snacks. These street snacks are highly popular in Taiwan. 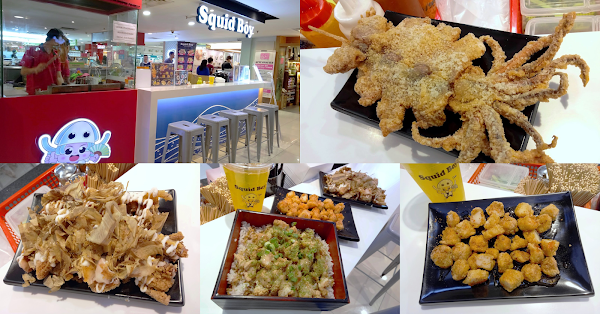 The signature choice is obviously the Giant Squid, which comes in 3 sizes: Mega King (RM15.50), Xtra Super (RM13.20) and Super XXL (RM11.20). Customers are able to customize the seasoning. Since Mega King is not available today, I opted for Xtra Super. 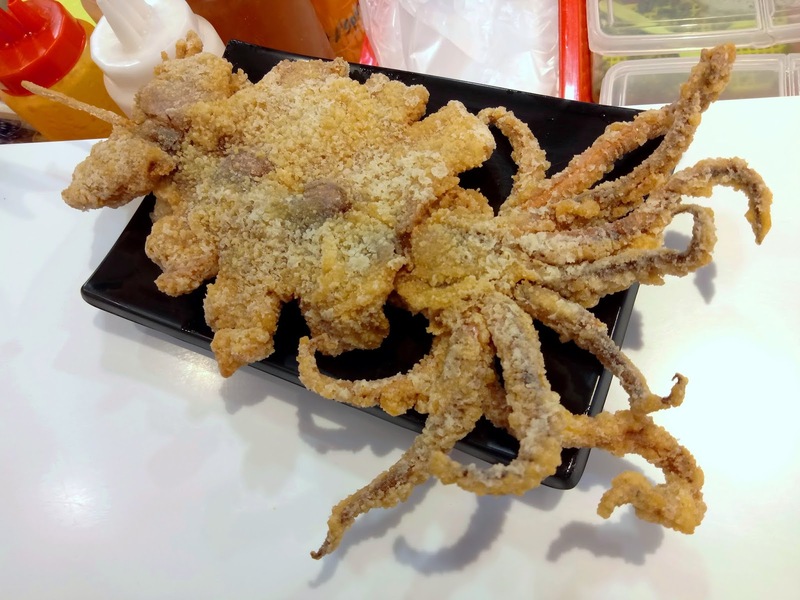 The Giant Squid is lightly battered and deep-fried until it becomes golden brown. It is then cut into bite-size pieces for customers' convenience. 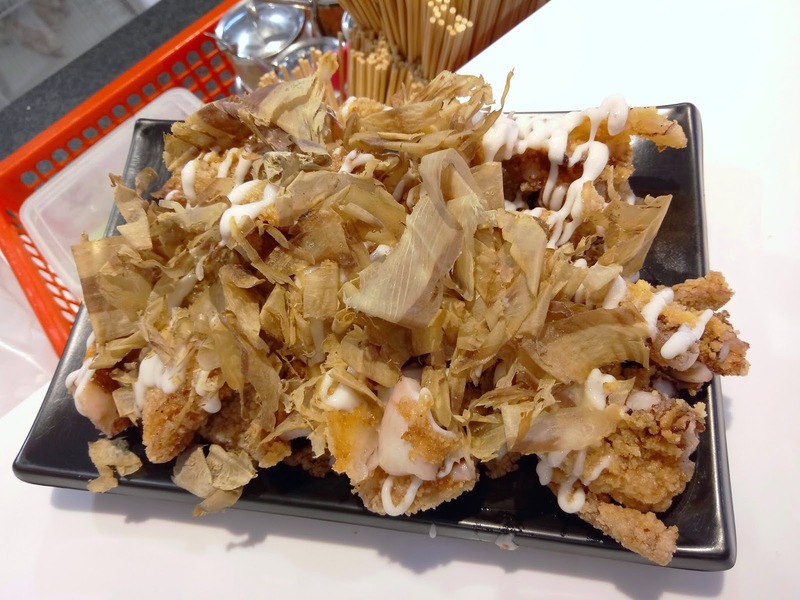 As recommended by the staff, I chose bonito flakes and mayonnaise as toppings. The bonito flakes wave gently while the Giant Squid is piping hot. 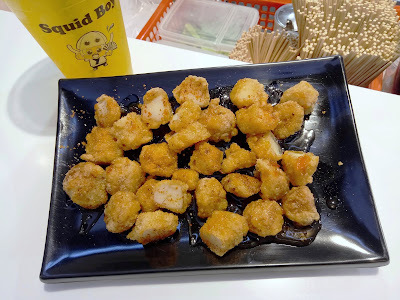 Crispy Squid (RM8.00) is a smaller type of squid. Only the squid's mantle (body) is used. Its texture is noticeably firmer but is still quite springy. If you enjoy spicy seasonings, I suggest that you ask for salt, pepper and Thai sweet chili. Like the Giant Squid, the Crispy Squid is also cut into smaller pieces for easier consumption. There are several versions of Bento (RM11.20). I selected Crispy Chicken today. The chicken cutlet is flavored with wasabi and honey mustard. I am surprised that both seasonings blend with each other pretty well. The combined spiciness is mild; in fact, I prefer the wasabi's pungency to be stronger. 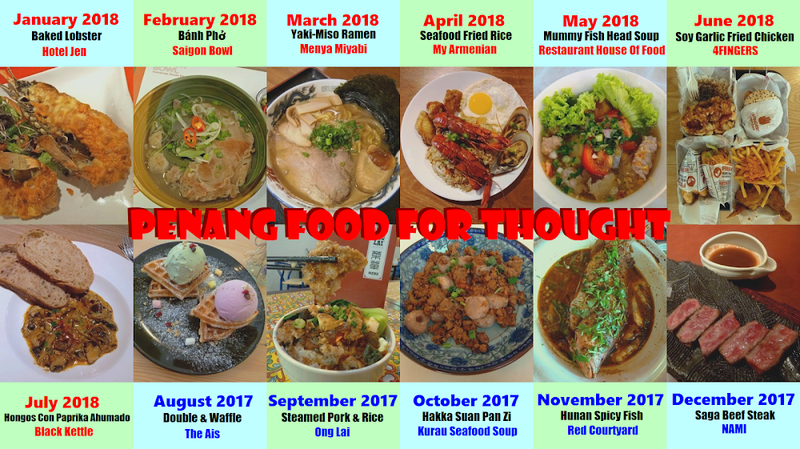 Squid Boy also serves Mee Sua (面线) but I have not tried the noodle dish yet. 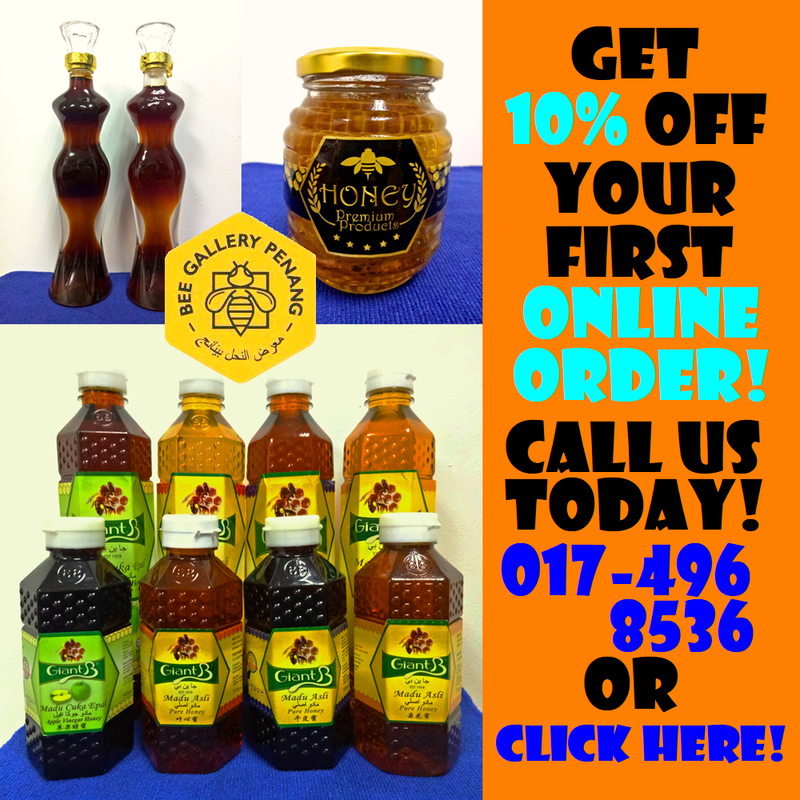 As for drinks, customers may add RM2.80 to any food item for a cup of passion fruit juice, calamansi juice or lemonade. 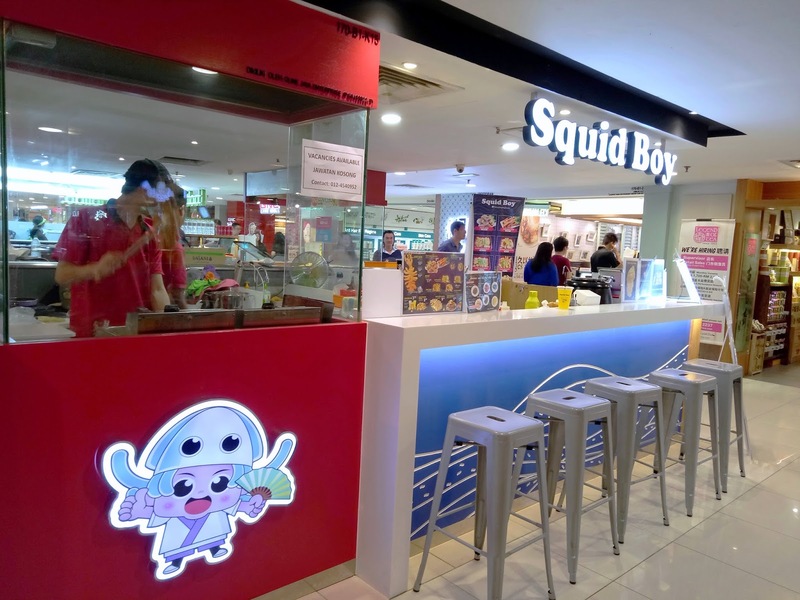 Directions: Squid Boy is located at the Basement level of Gurney Plaza, next to Tori Tori. Gurney Plaza has basement and multi-level parking garages.